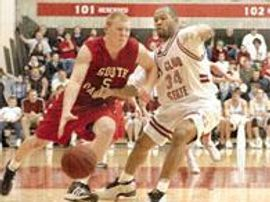 Tri-State Ambush was organized by Garrett Callahan and Josh Mueller with the purpose of expanding the youth basketball opportunities in South Dakota, Northwest Iowa and Southwest Minnesota. This program will allow adolescents, young men, and women of all economic backgrounds a chance to eventually play against the highest level of competition. Our goal is to help them experience different people and places and have the opportunity to learn life lessons from the beautiful game of basketball. We are a youth basketball academy aimed at helping our area youth develop basketball, people and life skills.